When the protagonist in my first novel became a real person to me, I couldn't just put the book away until a later date, but I needed to. Our family business was growing by leaps and bounds, I was needed at that "job," and I just couldn't justify writing unless it helped the budget. Knowing very little about how to get published, I naively queried three Christian publishers listed in the Writers Market. Of those three publishers, one responded with a request for sample chapters and, eventually, the entire book (which I didn't have). A few months later, after I had sent about 2/3 of the book (remember, I didn't have time to write a book--which was the whole point at the time--get rejected and get on with real life) an editor left a voice mail on the house phone that Thomas Nelson wanted to offer me a contract. I was literally stunned. While I was very serious about the history that had inspired that first book, I honestly never expected to be published. Ever. I didn't have an "epiphany" about making writing my vocation until I received my second three book contract. By that time, the family had decided to close the business, our gift line product had been licensed, and I was free to write in my "spare time." 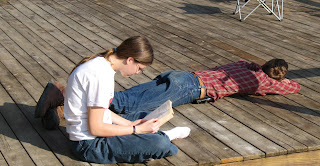 We were home schooling four children and my husband was battling cancer, but the Lord enabled me to continue to write. Sixteen years and nineteen books later, He continues to provide contracts and I praise Him for that. Walks the Fire was the most fun, because I had no deadline at first. I was writing for the pure joy of writing and the pure joy of playing with "imaginary friends" I found fascinating. I had very little knowledge of the basics of the craft, and so I didn't agonize over the technical aspects of writing or second-guess myself like I do now. I honestly don't have a favorite character. I have a few that I didn't like very much, but we've come to an understanding and I've promised not to insult them publicly :-). I am my most difficult obstacle. One of my greatest talents is avoidance, and when it comes to writing that takes the guise of avoiding work. I talk about work. I blog about work. I write readers about working. I plan to work. And then the day is over and I realize I haven't actually worked, meaning I haven't written the day's word count. Overcoming it isn't complicated, but it isn't easy, either. Turn the ringer off on the house phone. Turn my cell phone off. Walk into the office, sit down, and CLOSE THE DOOR. Turn on the computer, open up a file, don't answer the doorbell, don't open the mail, don't don anything but WRITE. Simple. But difficult. Sixteen Brides tells the story of five different women and I love them all. I love Caroline's ability to move forward even when she's terrified, Sally's honesty, Ella's determination, Ruth's self-sacrificial attitude, and Hettie's willingness to use her talents to help others, even though doing so could threaten her own well being. Well, I modeled in France, and I never did feel comfortable in that Rolls Royce or carrying that miniature poodle. As a prop, the poodle wasn't very cooperative. For a girl who was afraid of her own shadow and very shy, that was quite a coming out event. A girl friend got me into it--she actually had been a professional model--and at times I could have wrung her neck. But it turned out to be great fun and now it's a very nice memory. It also serves as evidence when I tell my oldest daughter, "You have my body. . . and I want it BACK!" My habits all make perfect sense to me. What do you mean. . . strange ? I could describe a half dozen perfect days, all of them very different, some of them in my home town, others in Paris or Captain Cook, Hawaii, or in Florence, Italy. I'm an extremely eclectic reader. I keep a reading journal where I list the books I read and write a short reaction to the book. Last year I read everything from narrative history to biography to chic lit to suspense to historical fiction and beyond. This year's "to-be-read" pile includes memoirs, diaries, history books, romances, literary fiction titles, writing craft books. . . and the list goes on. Not really. Food is more of a deterrent because retrieving it gives me an excuse to leave the office. I do love a really nice cup of coffee, but I don't necessarily connect food with writing. The theme of any given book usually doesn't emerge for me until I'm past the mid-point of the writing. Usually at some point there is a "eureka" moment as I mull over the plot and the characters, and that "eureka" usually involves finally understanding what the book is REALLY about in a spiritual sense, but I don't set out with a theme in mind. I begin with a needy character in a difficult place and then try to create a world in which that character will be brought to a place where they learn whatever spiritual lesson it is they need most. That might be salvation, it might not. It varies from story to story. Since I don't do a lot of plotting beyond the synopsis and I don't outline before I begin writing, the journey is usually as interesting for me as it is for my readers. I'm still working on so many lessons. Trusting Him with my children and knowing I don't have to worry the night away is a big one. As my children have become adults, their problems and challenges are still just as concerning to me as they were when I was actually responsible for their daily behavior and could generally rescue them from trouble. I've been blessed with godly children who love Jesus, but I still tend to worry over the challenges life brings their way. I tend to want to fix everything for them instead of letting God work in their lives in His time. Since having cancer a few years ago, I find that it's easy to slip into worrying every time I have a little pain here or there. Cancer chances your life forever. Resting in the Lord about my personal health (which is excellent, by the way) is an ongoing challenge. Now that I think about it, most of the lessons are about TRUST. I think once I've perfected trust, I'll probably wake up in heaven, because the Father will consider me "done." 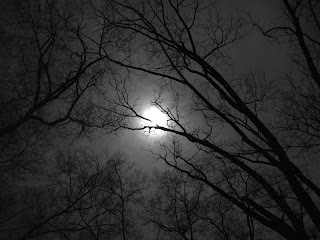 I'm working on my 2011 fiction release tentatively titled The Letter Box. It's a historical romance set right after the Civil War and it tells the story of a young woman who ignores reason and sets out on a quest to find a long-lost relative. The journey culminates in an accident that strands her in a very remote fledgling town in Montana where she's faced with a shocking revelation about her own past and the subsequent loss of just about everything she holds dear. I also have a non-fiction book releasing with Kansas City Star books in 2011. Tentatively titled Home on the Plains: Quilts and the Sod House Experience, the book celebrates the courage and creativity of sod house homemakers. It features quilts known to have been used in sod houses along with patterns for making reproductions of some of those quilts. My research partner Kathy Moore and I have finished most of the historical research for the book. Now we're busy making quilts. Thank you for being with us, Stephanie! I loved your interview! Stephanie is giving away a copy of Sixteen Brides. To be entered in the book giveaway, leave a comment and check back on Tuesday, April 6th to see if you've won. You can enter twice--once on each post in this spotlight. If you want to guarantee that you're notified if you win, then leave your email address in the comment, otherwise, you can just check back and email me through the button in my sidebar. She writes historical fiction. . . and rides a motorcycle. She writes contemporary fiction. . . and loves tromping around old cemeteries. Wife, homemaker, mother, and grandmother, Stephanie Grace Whitson has made a career out of playing with imaginary friends, and it all started in an abandoned pioneer cemetery. This one's graves are scattered on a tiny corner of land near where the Whitson family lived in the 1990's--mostly providing comic relief for the real country folk in the area. That cemetery provided not only a hands-on history lesson for Stephanie's home schooled children but also a topic of personal study as she began to read about and be encouraged by the pioneer women who settled the American West. Since writing had always been a favorite hobby, it was only natural for Stephanie to begin jotting down scenes in the life of a nameless woman crossing Nebraska on the Oregon Trail. Eventually that story took on a life of its own and Stephanie sent off a query letter--expecting instant rejection. God had a different plan. He blessed Stephanie's beginnings, putting two of her three first books on the ECPA best-seller list and making two of her first nine books finalists for the Christy Award. 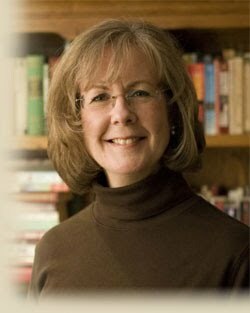 Other awards have followed, but Stephanie considers her most precious "award" the reader letters that share how God has used Whitson-authored novels to bless lives. "It's astonishing, humbling, and encouraging. I can't really put it into words--and I can usually find words for just about everything!" 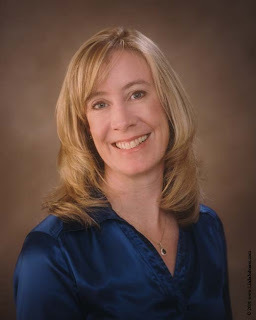 With the spring 2010 release of Sixteen Brides (Bethany House Publishers), she will have eighteen novels and a non-fiction book on "how to help a grieving friend" to her credit. She's also working on a quilt documentation project to be released as a book about pioneer women and sod house homemaking in 2011. Along with antique quilts and pioneer women's history, French, Italian, and Hawaiian language and culture remain passionate interests. "The flip side of writing," Stephanie says, "is being asked to teach writing or to speak at various events." She has developed a menu of lectures and workshops that "provide opportunities for me to travel and get to know not only other writers and history lovers, but also students and quilters. I love sequestering myself in a library to do research, but the speaking part of my career has provided some unique and wonderful memories." And then there's Kitty. . . her motorcycle. "In some ways I'm 57," she says, "in others I'm probably about 17. It all depends on the day." On days when her virtual age leans towards the younger side of that equation, she's been known to wake up in the morning and decide to ride Kitty to Canada that day. In addition to keeping up with her five grown children and two grandchildren, Stephanie enjoys motorcycle trips with her blended family (she was widowed in 2001 and remarried in 2003) and church friends as well as volunteering at the International Quilt Study Center and Museum. She is currently in graduate school pursuing a Master of Historical Studies degree. You can find Stephanie online at www.stephaniewhitson.com. In 1872, sixteen Civil War widows living in St. Louis respond to a series of meetings conducted by a land speculator who lures them west by promising "prime homesteads" in a "booming community." Unbeknownst to them, the speculator's true motive is to find an excuse to bring women to the fledging community of Plum Grove, Nebraska, in hopes they will accept marriage proposals shortly after their arrival! Sparks fly when these unsuspecting widows meet the men who are waiting for them. These women are going to need all the courage and faith they can muster to survive these unwanted circumstances--especially when they begin to discover that none of them is exactly who she appears to be. 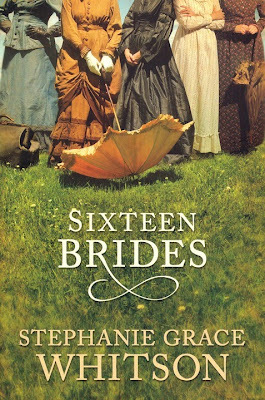 Stephanie is be giving away a copy of Sixteen Brides. To be entered in the book giveaway, leave a comment and check back on Tuesday, April 6th to see if you've won. You can enter twice--once on each post in this spotlight. If you want to guarantee that you're notified if you win, then leave your email address in the comment, otherwise, you can just check back and email me through the button in my sidebar. Well, it's Tuesday, which is usually an author spotlight...but since I was so buried in my projects last week, I failed to check my files so I failed to see I hadn't heard back from this week's author. But that's okay! If it works out, I'll just post the spotlight later this week. =] Until then, I'm leaving open last week's spotlight. If you haven't left a comment to be entered in the book drawing, you can still do that! 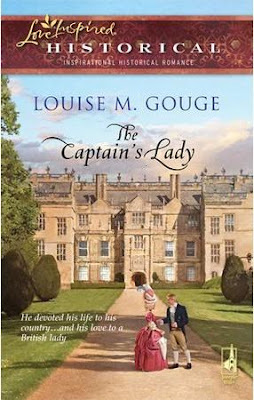 here's about Louise and her new release The Captain's Lady. My husband had me load a cool program on my computer yesterday so now I can record in mp3 format. I've resisted this program for months because I do NOT like talking on the telephone (ask my mom and sisters, they'll tell you it's true!) but I gave in yesterday for one reason: I need to. Ha! Isn't that profound? Sooooo, maybe someday soon I'll upload a short mp3. Maybe. =] (But this does NOT mean I have to start liking the telephone!) LoL I've got to draw the line somewhere! One of the things I worked on was my bio blurb for A Woman Inspired's marriage conference. Ay yi yi! Have you guys ever written a bio for yourself? It's not as easy as you'd think! (Okay, at least it isn't for me.) So, I did some research. Sounds good and logical, right? I read the bio blurbs of some of the other ladies that will be speaking at the conference. Man-oh-man but that did a number on me! While I'm really looking forward to hearing the message God has given them, I'm also really intimidated. Who am I that I should be speaking? I mean, really. Who am I? If you look at my life from society's point-of-view, I'm not much. Two years of Bible college, no degree. I've worked in food service, as a check-out girl in the local grocery store, answered the phones and took phone orders, as a customer service clerk at a mail-order company, and a book-keeper. Quite the professional, eh? And that was all before I became a mom. Once the kids came along, I became a stay-at-home mom that morphed into a homeschooling mom. Can you see how my thinking went? 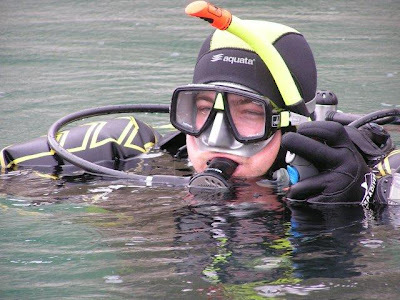 I was comparing myself to the others...and sinking fast. But God is so incredibly good! He quickly reminded me about something. but rather about who He is. Every time I begin to get rattled about stepping out of my comfort zone like this, God reminds of that. Focusing on who God is has given me air to breathe when I've been gasping and gulping for air. It's also stilled my knocking knees and given me courage and even clarity of thought. It's not who we are, but who He is! What a great, great God we serve! Fear is something that I've dealt with my whole life and something God has really been working on in my life. It's been a constant chiseling that's both scary and exciting. Today I'm posting at Exemplify about conquering fear and I'd love for you to join me there! How Can We Conquer Fear? Tomorrow (Friday) at Adding Zest you'll see a way that I'm stepping out away from fear and following God...but I'll give you a hint. =) It has to do with A Woman Inspired's "one" marriage online conference. Be sure to check Adding Zest on Friday to get in on a fun giveaway. Don't forget to get in on this week's book giveaway! It's a really good historical! When my children were in middle and high school, my friend and I went to lunch to talk about our upcoming empty nest years and what we were planning to do. I told her about my lifelong secret life in which I imagined all kinds of stories, often wondering if I should write them down. When I told her about my current story, she said, “You go home and write that down right now!” So I did. From the moment I began to put the words on the page, I knew I’d found what I wanted to do for the rest of my life. Time management. I have three jobs (writing, teaching, and copyediting), so I have to make sure I get them all done in a timely way. Must meet all deadlines. Can’t let anyone down. Whew! I just have to keep driving hard to get it all done. The American Patriot sea captain, Jamie Templeton, is the character with the most difficult struggles in this story. One struggle is to complete his mission of learning about England’s plans for prosecuting the war against the American colonies. He risks his very life to help in the Revolution he believes in. But his other struggle is against his own heart. He has fallen in love with the daughter of the very man he’s spying on. This sets up a great conflict for Jamie because he is a man of unwavering honor and strong faith in God. How can he go against his principles for the sake of his own heart? Better to deny himself than to betray his mission. What is your strangest habit? Um, well, er. . . okay, I confess. It’s Spider Solitaire. Love that game. Sometimes I even dream about it. That’s very strange. No, not usually. I’m more the “jump in and get it done” person. I hate having things hanging over my head. I just had a perfect three days this week. I went to St. Augustine, FL, to research my next book. Three days digging for setting nuggets in the historical society’s research library and later walking around that historic city. Weather was not too hot, not too cool, not too rainy, not too sunny. And my dear hubby went along to help me. We had a great time! These days I’ve honed it down to historical Christian fiction. Some eras and locations interest me more than others, but I do like a variety. And I’m crazy about getting lost in real life historical accounts such as the ones at the St. Augustine Historical Society’s library. My favorite theme is the grace of God. We all live by His grace, His free, unmerited gift, so I like to include some sort of affirmation of that in every story. So often, people think they have to work to earn or keep their salvation. But when Jesus said, “It is finished,” He meant that He had just complete the entire work of salvation. We can’t add anything to it; all we can do is reach out and accept this free gift. “But as many as received Him, to them gave He power to become the sons of God, even to them that believe on His name” (John 1:12). Once that verse takes hold in a person’s life, she/he will never be the same. That’s grace. I had a phrase come across my mind about a month ago: deliberate Christian. I like that. It means that I should deliberately do everything I do as a Christian, as Jesus guides me, and as He wants me to do it. Still working on that, but I don’t think we ever achieve it to the point that we can coast along. We must always deliberately seek to be like Him, not to earn salvation or rewards, but because that is the place He has designed for us, our place of greatest happiness. I don’t have a release date, but my next book is the third one in my Revolutionary War series. As indicated above, it takes place in St. Augustine, which was a haven for American colonists who were loyal to King George III. Many people had to flee to that city because of persecution in the northern colonies. As a strong Patriot myself, I find it interesting to write “from the other side.” But writing this story is fun, as all of them are. Thank you for inviting me to be on your blog and helping me promote The Captain’s Lady! Thank you for being with us, Louise. It was fun and encouraging! Louise is giving away a copy of The Captain's Lady. To be entered in the book giveaway, leave a comment and check back on Tuesday, March23, to see if you've won. You can enter twice--once on each post in this spotlight. If you want to guarantee that you're notified if you win, then leave your email address in the comment, otherwise, you can just check back and email me through the button in my sidebar. Last week Sarah Sundin was here with A Distant Melody and the winner of the book drawing is Denise. 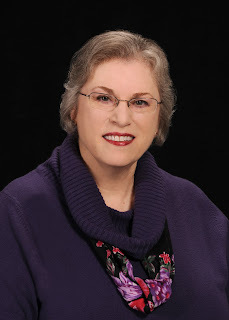 Award-winning Florida author Louise M. Gouge writes historical fiction, calling her stories “threads of grace woven through time.” In addition to numerous other awards, Louise is the recipient of the prestigious Inspirational Readers’ Choice Award for her 2005 novel, Hannah Rose. With her great love of history and research, Louise loves to visit museums and travel to her stories’ settings to ensure accuracy. Louise has been married to David Gouge for 45 years. They have four grown children and six grandchildren. She earned her BA in English/Creative Writing at the University of Central Florida in Orlando and her Master of Liberal Studies degree at Rollins College in Winter Park, Florida. Louise is also an adjunct professor of English and Humanities at Valencia Community College in Kissimmee, Florida. You can find Louise online at www.louisemgouge.com. Torn between love and duty, American Patriot James Templeton must deny his heart to help win his country's freedom. Templeton's orders from General Washington are clear. His target: Lord Bennington, a member of George III's Privy Council. The assignment: find Bennington's war plans. The risks: the future of the East Florida Colony, Jamie's life...and his heart. In spite of the dangers of their hopeless situation, he's fallen in love with Lady Marianne Moberly, Lord Bennington's daughter. Desperate to protect his country, Jamie carries out his orders with a heavy heart. But Marianne's persistence is a challenge he never expected. With love and faith, they must navigate troubled waters to win their future together. Lady Marianne peered down through the peephole into the drawing room while her heart raced. Against her back, the heavy woolen tapestry extolling one of her ancestors’ mighty deeds pushed her into the wall of her father’s bedchamber, nearly choking her with its ancient dust. Yet she would endure anything to observe the entrance of Papa’s guest. Often in childhood she and her closest brother had evaded the notice of Greyson, Papa’s valet, and crept in here to spy on their parents’ guests, even catching a glimpse of the Prime Minister once when he deigned to call upon Papa, his trusted friend, the earl of Bennington. But no exalted politician captured Marianne’s interest this day. Her breath caught. Captain James Templeton–Jamie–entered the room with Papa, and warmth filled her heart and flowed up to her cheeks. The two men spoke with the enthusiasm of friends reunited after many months of separation and eager to share their news. Unable to hear their words, Marianne forced herself to breathe. Jamie, the Loyalist American captain of a merchant ship. How handsome he was, taller than Papa by several inches. His bronzed complexion and light brown hair—now sun-kissed with golden streaks and pulled back in a queue—gave evidence of long exposure to the sun on his voyages across the Atlantic Ocean. In contrast to Papa’s blue silk jacket and white satin breeches, Jamie wore a plain brown jacket and black breeches. Yet to Marianne, Jamie, with his stately bearing, appeared as elegant and noble as Papa. Hidden high above the drawing room, Marianne could not clearly see the blue eyes whose intense gaze had pierced her soul and claimed her heart less than a year ago. Jamie, always honest, always forthright. No wonder Papa took an interest in him, even to the extent of calling him his protégé, despite his utter lack of social position and being an American. Marianne suspected part of Papa’s interest stemmed from wanting to secure the captain’s loyalty now that thirteen of England’s American colonies had rebelled against the Crown. But last year she had seen that the old dear truly liked Jamie, perhaps even more than his own four sons, a fact that stung both her heart and Mama’s. Yet, despite that affection, the earl’s patronage might not extend to accepting a merchant for a son-in-law. How she and Jamie would overcome this prejudice, Marianne did not know. At this moment, all she knew was that her own affection for Jamie was unchanged. Last summer, against the better judgment of both of them, their friendship had intensified through shared interests, from reading Shakespeare and Aristotle to spending hours sailing on the Thames. On a short excursion with Papa aboard Jamie’s large sloop, the Fair Winds, Marianne and Jamie had whispered their confessions of undying love. Then Jamie had placed the sweetest, purest kiss on her lips, sealing her heart to his forever. Now her pulse pounded at the sight of him, and her heart felt a settled assurance that no other man could ever win her love. Wriggling out of her hiding place between tapestry and wall, Marianne brushed dust from her pink day dress and hastened to the door. No doubt Greyson was below stairs, for at this time of day, Papa seldom required his services. Marianne escaped the bedchamber undetected and hurried down the hallway to her own quarters. “Lady Marianne.” Emma emerged from her closet, her hands clasped at her waist. “Why, my lady, your dress.” She took hold of Marianne’s skirt and shook dust from it, then glanced up. “Oh, my. Your hair.” Her youthful, cherubic face creased with concern. “Yes, Emma, I am a fright.” With a giddy laugh, Marianne brushed past her lady’s maid to sit at her dressing table. “Make haste and mend the damage. Oh, dear, look at this.” She removed a silvery cobweb from her hair, pulling several long black strands from the upswept coiffeur Emma had created earlier. “Please redo this. And I shall need another of my pink gowns.” More than one dandy had told her pink brought a pretty blush to her cheeks, so she wore the color often. Her appearance repaired and Emma’s approving smile received, Marianne clutched her prayer book and hurried from her room. With a deep breath to compose herself, she held her head high and glided down the steps to the front entry hall. A quick glance revealed Jamie and Papa seated before the blazing hearth deep in genial conversation. Marianne opened the book and mouthed the words of the morning prayer as she entered the room, not looking their way. Last year, Jamie’s parting words had encouraged her to greater piety, and she must let him know she had followed his advice. The rustle of movement caught her attention. She cast a sidelong glance toward the men, who now stood to greet her. “Why, Papa, I didn’t realize—” She stopped before completing the lie, while heat rushed to her cheeks. “Forgive me. I see you have a guest. Will you excuse me?” She could not look at Jamie for fear that her face would reveal her heart. “Come, daughter, permit me to present my guest.” Papa beckoned her with a gentle wave of his bony, wrinkled hand. “You may recall him from last summer. Lady Marianne, Captain James Templeton of the East Florida Colony.” His presentation was accompanied by a shallow cough, and he held a lacy linen handkerchief to his lips. Gripping her emotions, Marianne permitted herself to look at Jamie. His furrowed brow and the firm clenching of his square jaw sent a pang of worry through her. Was he not pleased to see her? Worse still, his gaze did not meet hers. Rather, he seemed to stare just over her head. Surely this was a ploy to divert any suspicion from the mutual affection they had spoken of only in whispers during his last visit. The fond gaze he returned brought forth a wave of guilt. “I fear that I must go to Whitehall for most of the afternoon. Is there something you require, my dear? You have but to ask.” His blue eyes, though pale from age, twinkled with his usual eagerness to please her. “Yes, sir.” Jamie’s tone held no emotion. “Yes, Lady Marianne.” The footman bowed and left the room. Gliding from the room with a well-practiced grace, she met Blevins in the entry hall and gave him instructions regarding Captain Templeton. “I believe the bedchamber at the end of the third floor is best. Do you agree?” With the room’s clear view of the garden, Jamie would have no trouble knowing when she was there. “Yes, Lady Marianne. I shall see to it.” Blevins, of medium height but seeming taller due to his exceptionally straight posture, marched on stick-like legs toward the drawing room, his gait metered like a black-clad soldier who heard an invisible drummer. Seated on the marble bench beneath one of the barren chestnut trees, Marianne drew her woolen shawl about her shoulders and tried to concentrate on the beloved words in her prayer book. But at the end of each Scripture verse, she found herself beseeching the Lord to send Jamie to her. As a guest in their home, he could visit her here in the garden without impropriety. Anyone looking out of any of the townhouse’s back windows could see their actions were blameless. After a half hour passed, Marianne shivered in the early spring breeze, closed her book, and stared up at Jamie’s window, willing him to look out so that she might beckon him down. Perhaps he did not know they could meet here without censure. Yet had Papa not requested her assistance in making Jamie feel welcomed? Tapping her foot on the flagstone paving in front of the bench, she huffed out an impatient sigh. She had told him she would be in the garden. Why did he not come? “Yes, Lady Marianne.” The ideal footman, John bowed away, his face revealing no emotion. In a short time, Jamie emerged from the house. But instead of striding toward her with all eagerness, he walked as if facing the gallows, looking beyond her toward the stables, the hothouse, the treetops, anywhere but at her. By the time he came near, Marianne had almost succumbed to tears. Instead, she stood and reached out both hands to greet him. “Jamie.” His name rushed out on a breath squeezed by joy and misery. For several moments, he stared at the ground, his lips set in a grim line and his jaw working. He seemed to compose himself, for at last he lifted his gaze to meet hers. “Please.” He raised his hand in a silencing gesture. “I will not betray the trust of Lord Bennington by arrogantly presuming an equality that would permit us . . . permit me . . . to pursue a lady so far above me.” For an instant, a sweet vulnerability crossed his eyes, but then all light disappeared from his face, replaced by the same blank expression John or any of the household servants might employ, a façade that bespoke their understanding of status and position. “You must not ask me to do that which would dishonor you, your family, and my faith.” He gave her a stiff bow. “Now, if you will excuse me, my lady.” Jamie spun around and strode back toward the house with what seemed like eagerness, something clearly lacking when he had come to meet her. The other day I was putting on some make-up and I grabbed my eye liner, the glimmer stick kind, and just started using it. It didn't seem to be working as well as usual and I realized I hadn't given it the usual little twist to make sure there was enough pencil to work without the plastic case scraping me. I mentally shrugged and figured it was enough to get me by. But as I continued scraping with the glimmer stick it hit me, I do something similar with God and His power in my life. Just like I had available to me all the eye liner I needed, and more, with a simple twist of the pencil, I have all the power I need by simply asking God. It's just a matter of tapping in to what I already have in God. Let me tell ya, I stopped scraping that glimmer stick along my eye and gave it that little twist. I saw just how ridiculous and lazy I was for being satisfied with scraping when I didn't have to. I don't want to just scrape by when it comes to God and His power in my life. I want that turned up so it can easily flow. Let's not be satisfied with just scraping by when it comes to God in our lives. Mine was a true epiphany moment. Although I grew up surrounded by books and read everything I could, I didn’t consider a writing career. Instead, I became a pharmacist and chose to work one day a week so I could stay home with our three children. On January 6, 2000, I had a dream with such intriguing characters that I felt compelled to write their story. Before that date, I’d never had an idea for a book, and after that, ideas flowed. It was as if God turned on a writing switch in my brain. Since I felt God had called me to write and since our children were still young, I decided if I was going to dedicate time to writing, I needed to be serious and pursue publication. The novel that came from that dream will never be published, nor should it, but it got me started. I set out to learn the craft of writing from books, a critique group, and writers’ conferences. Why not ask which child is my favorite? Seriously, I had great fun writing all three books in the series, and I love them all equally but for different reasons. Kind of like how I love all three of my children. Of course, I love my kids more. Except my books never give me ‘tude. Currently my most difficult writing obstacle is a yellow Labrador retriever named Daisy, Satan’s emissary to derail my writing career. When the kids are at school and my husband’s at work, I assume it’s writing time. Daisy tells me it’s play time! Always play time! And if I don’t play, she eats the house. I adore Walt and Allie, my hero and heroine, but my biggest surprise had to be Cressie Watts. I didn’t plan for her—she just showed up. Allie, a wealthy, well-mannered young woman, goes for a walk after a horrendous day and enters a rundown church. She needs to get away from her parents’ superficial congregation, so I thought she would talk to the pastor. Instead, Allie and I both find—to my surprise—this feisty older woman who ropes Allie into helping her air out the pew cushions. Cressie is Allie’s opposite in every way—exactly the mentor Allie needs. I love her brusque ways, her deep faith, and her humor. And there’s a funny story regarding her name too. No strange habits that I can think of, and I’m not very quirky…how about a funny story instead? Our lab had a rash on her belly, so we picked up some anti-fungal cream at the pharmacy after a family dinner out. My husband joked that he should make our fourteen-year-old daughter take it to the cashier. We all cracked up at the idea. The girl’s life revolves around avoiding embarrassment. Then I said she should tell the cashier, “I have a rash, but I can’t tell you where.” She claimed she could do it; her brothers and parents disagreed. I told her, “I’ll give you twenty bucks if you do it.” Well, she did! Her brothers and I had to watch from outside through the window because we were laughing too hard. I told her she should get extra credit in her acting class. And yes, I paid up. Mucking out the closets and anything involving cleaning. Sleep in, quiet time, at least four to five hours to write—not publicity—just pure writing, some fun outing with my husband and kids, Chinese food for dinner, and a good book in the evening. And no carpools. That’s more than twenty-four hours, isn’t it? I gravitate toward the classics, women’s fiction, and contemporary or historical fiction—and I love a romantic thread. 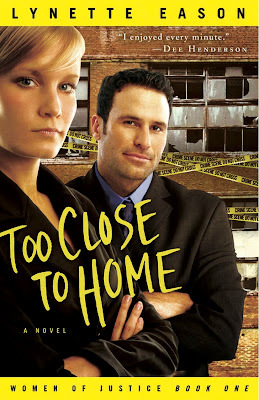 I also enjoy a good suspense novel and anything with humor. I’m really easy to please. That’s why I don’t write book reviews. Coffee, tea, diet cola, chocolate—anything in the caffeine family. I don’t usually pick themes, but find they arise from my characters. The first novel deals with obedience and sacrifice and honesty, the second with pride and shame and trust, and the third with courage and misguided efforts to earn grace. Pride does seem to run as an undercurrent through all three books, but I feel pride lies at the base of most, if not all, sin—the crazy idea that we could ever know better than God. He’s teaching me the importance of abiding in Him. This is a lifelong lesson for all of us, but He’s impressed it on me lately. John 15:5 is my theme verse right now: “’I am the vine, you are the branches; he who abides in Me, and I in him, he bears much fruit; for apart from Me you can do nothing’” (NASB). Everywhere I look, this concept and this verse keep popping up, a firm indication that the Lord wants to get my attention. The second book in the series, A Memory Between Us, releases Fall 2010: Maj. Jack Novak has never failed to meet a challenge—until he meets Lt. Ruth Doherty, a striking nurse with a shameful secret. While Jack leads his squadron in the most savage air battles of the war, Ruth trains to become a flight nurse to better support her orphaned siblings. Can they confront their deepest sins, face their greatest fears, and learn to trust and to love? 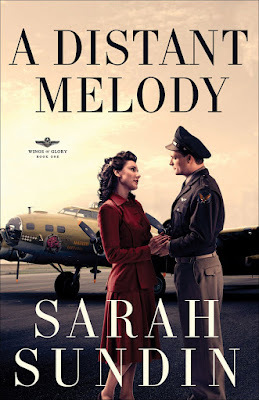 Sarah is giving away a copy of A Distant Melody. To be entered in the book giveaway, leave a comment and check back on Tuesday, March 16th, to see if you've won. You can enter twice--once on each post in this spotlight. If you want to guarantee that you're notified if you win, then leave your email address in the comment, otherwise, you can just check back and email me through the button in my sidebar. Last week's winner of DiAnn Mill's book: Sworn to Protect is Emily Ann Benedict. There's an Email Me button in the side bar to use to send me your address, Emily. Sarah Sundin’s first novel, A Distant Melody, was released in March 2010 by Revell. She lives in northern California with her husband and three children. When she isn’t ferrying kids to soccer and karate, she works on-call as a hospital pharmacist and teaches Sunday school and women’s Bible studies. You can find Sarah online at her website: www.sarahsundin.com and her blog. Never pretty enough to please her gorgeous mother, Allie will do anything to gain her approval—even marry a man she doesn't love. Lt. Walter Novak—fearless in the cockpit but hopeless with women—takes his last furlough at home in California before being shipped overseas. Walt and Allie meet at a wedding and their love of music draws them together, prompting them to begin a correspondence that will change their lives. As letters fly between Walt's muddy bomber base in England and Allie's mansion in an orange grove, their friendship binds them together. But can they untangle the secrets, commitments, and expectations that keep them apart? This has been the extent of our weekend. Well no, that's not true. Saturday was normal. Sunday morning started early with flu and it got 5 of us within 24 hours. Not fun! But I was so glad it started Sunday morning instead of this morning (Monday) because 3 of us were supposed to be in the nursery yesterday. I'm so thankful we didn't infect all those little ones! When my husband challenged me to stop talking about writing a book and simply do it. He suggested I quit my job, and if I could get anything published in a year, I wouldn’t have to return to the work force. That was in 1996, and I now have 49 books. My most difficult writing obstacle is myself! I personally challenge myself for each new book to be better written than the previous one. When I’m laden with concern about the quality of my story and the depth of characters, I have to take those worries to God - where they belong. LOL That would be a toss between traveling to Southern Sudan to enhance a novel set there or riding the line with the Border Patrol in McAllen, Texas for novel research. A tendency toward dare devil, which is so weird. 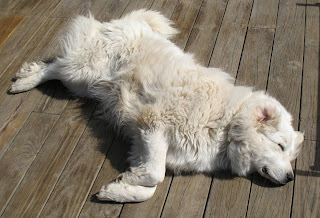 I’m scared to death of dogs, and yet a challenge with life intrigues me. Yes! Like unloading the dishwasher. So boring. Ironing. I despise it. Write all day long without having to answer and respond to e-mail. No phone. No laundry. No cooking. Nothing but total absorption into characters and plot. LOL Suspense in historical and contemporary novels, both ABA and CBA. I don’t read fantasy or Sci-Fi, but I enjoy a good adventure. Nope. I’m too concerned about gaining weight. Sorry. I know that goes against the chocolate, salty tastes of many writers. BUT I am a coffee snob. Yum. Forgiveness - the entire scope of forgiving oneself, forgiving others, asking God for forgiveness, and accepting God’s forgiveness. Wait on Him. Let Him lead the way. It’s not about book sales or advances, but touching a reader’s life with Truth. 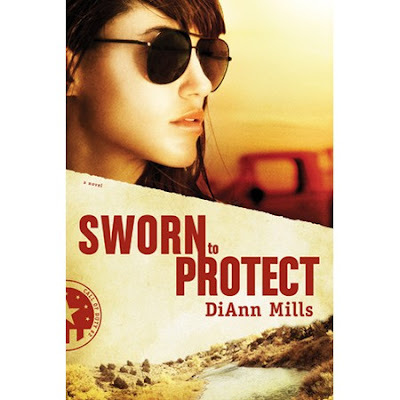 DiAnn is giving away a copy of Sworn to Protect. To be entered in the book giveaway, leave a comment and check back on Tuesday, March 9th to see if you've won. You can enter twice--once on each post in this spotlight. If you want to guarantee that you're notified if you win, then leave your email address in the comment, otherwise, you can just check back and email me through the button in my sidebar. Last week's winner of Christa Allan's Walking on Broken Glass is Carole. Enjoy! Award-winning author, DiAnn Mills, launched her career in 1998 with the publication of her first book. Currently she has over forty books in print and has sold more than 1.5 million copies. Six of her anthologies have appeared on the CBA Best Seller List. Three of her books have won the distinction of Best Historical of the Year by Heartsong Presents. 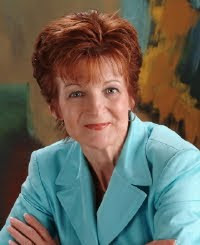 Five of her books have won placements through American Christian Fiction Writer's Book of the Year Awards 2003 – 2007, and she is the recipient of the Inspirational Reader’s Choice award for 2005 and 2007. She was a Christy Awards finalist in 2008. I could do a cut and paste from Amazon for book 2 in the Call of Duty Series, but then you wouldn’t hear my passion for the border patrol. There are certain things I believe in - God, country, and people. Showing a character in a controversial role who believes in protecting our country’s borders but is fighting her own personal war reflects all of us. Life isn’t easy, and for Danika Morales, learning she has been targeted by an unknown assailant muddies the waters of her own war - and where does faith fit? Danika Morales has sworn to protect our borders. But that oath has come with a price. Two years ago, her husband was shot and killed trying to help undocumented immigrants--the very people Danika, a Border Patrol agent, is responsible for deporting. His murder was never solved. Now, a recent string of attacks and arrests leads Danika to believe her husband's death may have been part of a larger conspiracy, and it appears that she's the next target. 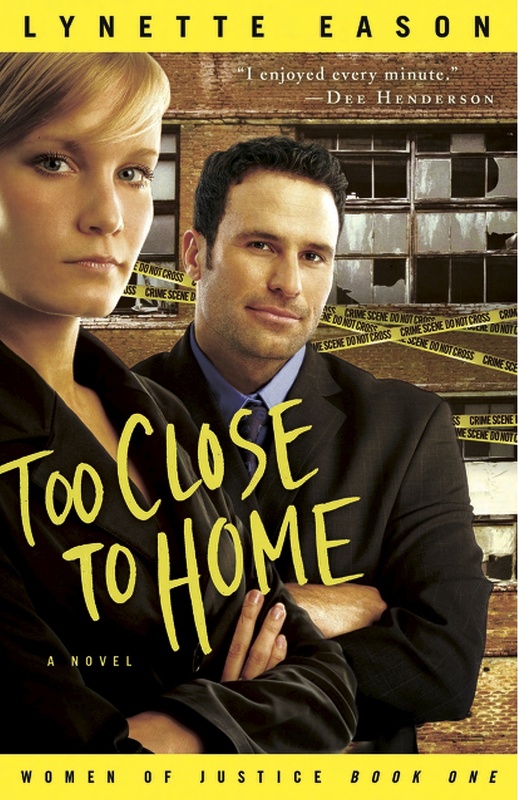 When the Border Patrol discovers that one of their own is leading top-secret information, Danika turns to the only person she can trust--a doctor at the local medical clinic. Together they search for answers before more innocent lives are destroyed. It's March! I'm almost jumping with joy! By the end of this month winter should be on it's way out of southern Illinois. Normally spring is well settled by the end of March, but this is just not a normal winter. But that's okay. It's March now so winter will be outta here soon. How did your February go? Did you accomplish the things you wanted to? I have to tell you, I got an F in February—but probably not like your thinking. I only partially reached my goal of writing 35,000 words—and that's okay! 21,080 words is what I ended up with, and the majority of those were not on my missionary romance, as I'd planned. I made forward progress, lots of it, and that's the main thing. So if not reaching my writing goal didn't give me the F, what did? You see, February turned out to be a month for Facing some of my Fears. 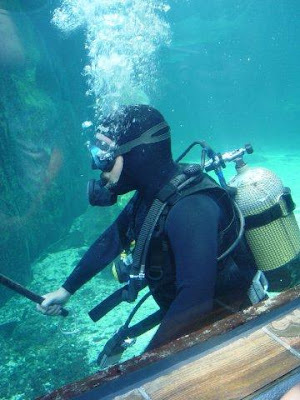 Fears of stepping forward into the unknown, fears of stepping completely out of my comfort zone. God orchestrated so many details that I have no doubt whatsoever that these things are from Him—but I still had to step out in Faith. My faith grew this last month as I focused on God and not on my fear. There's two big Fs right there: Fear and Faith. But there's one more. Friends. My circle of friends has done a lot of cheering in February as different ones have had things come about that we've been praying for, and even things we hadn't even begun to pray about. But close on the heels of cheering has come the fear. Because we've banded together, we're able to encourage each other and pray through the fear and uncertainty. That's what friends do. God is so good. I'm excited about the Fs I got last month! Facing fears, Faith and Friends. All in February! That's the kind of F I don't mind getting! So what does March hold? Only God knows, but I have a plan to tie up some loose ends from February and to get back into my missionary romance. I'll also be holding onto those Fs from last month. Don't forget the book giveaway with Christa Allan! The drawing is open through today, so make sure to leave a comment here and here to be entered. Blog Make-over workshop now available!